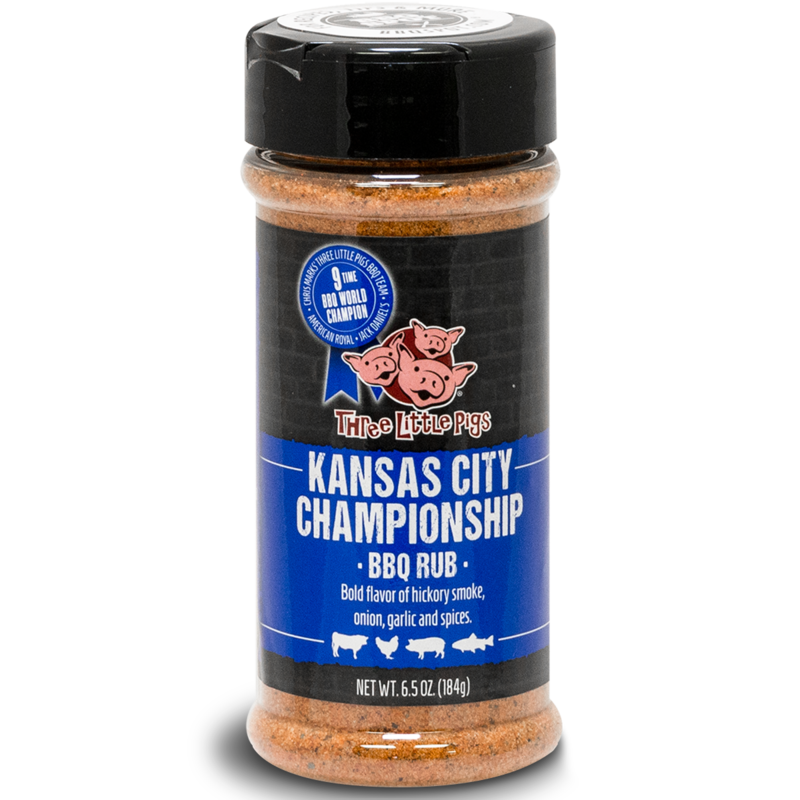 Three Little Pig’s Kansas City Championship BBQ Seasoning is a mix of sweet and spicy ingredients that offers a fantastic flavor boost for all grilling, smoking and general cooking needs. Great on virtually all types of meats, as well as in soups, chili, vegetables, baked potatoes, and anything else that needs a bit of a flavor boost. Three Little Pig’s Kansas City Sweet BBQ Seasoning is a savory rub will add a ton of flavor without straying away from the natural flavor of the meat itself. 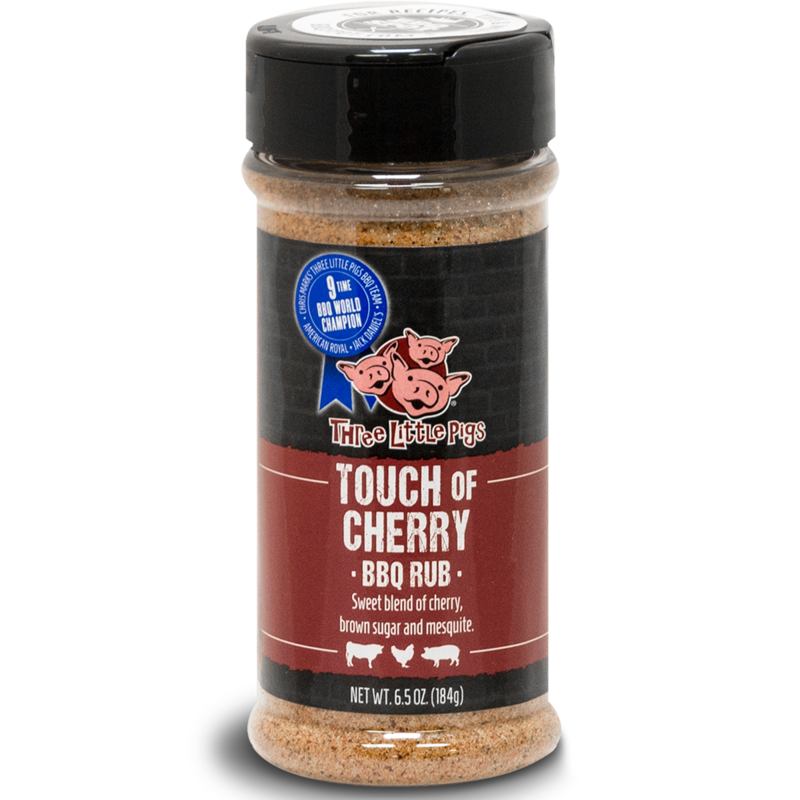 This is a mild rub that won’t overpower ribs, pork, and chicken. It also serves as a great starter for anyone who wants to add flavors himself or herself such as to increase the sweetness (e.g.,sugars, honey, etc. ), saltiness or peppers to meet the liking of her or his taste-buds. 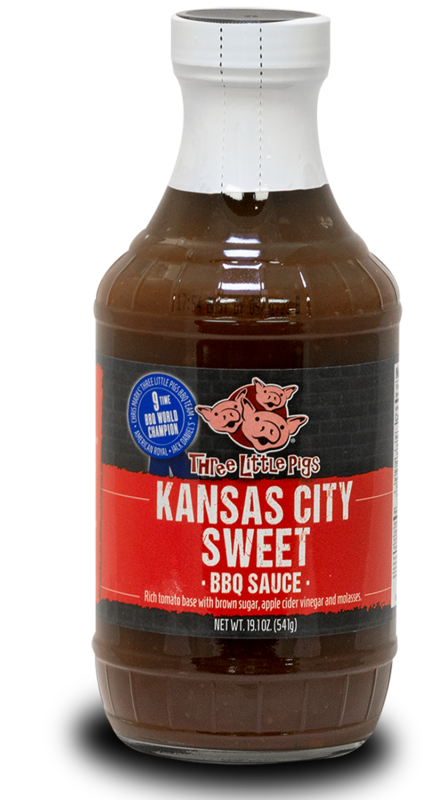 Three Little Pig’s BBQ Memphis Style BBQ Seasoning was developed for beef, chicken and is especially good on brisket, thick steaks, prime rib, ribs, tri tip,pork ribs whole chicken. 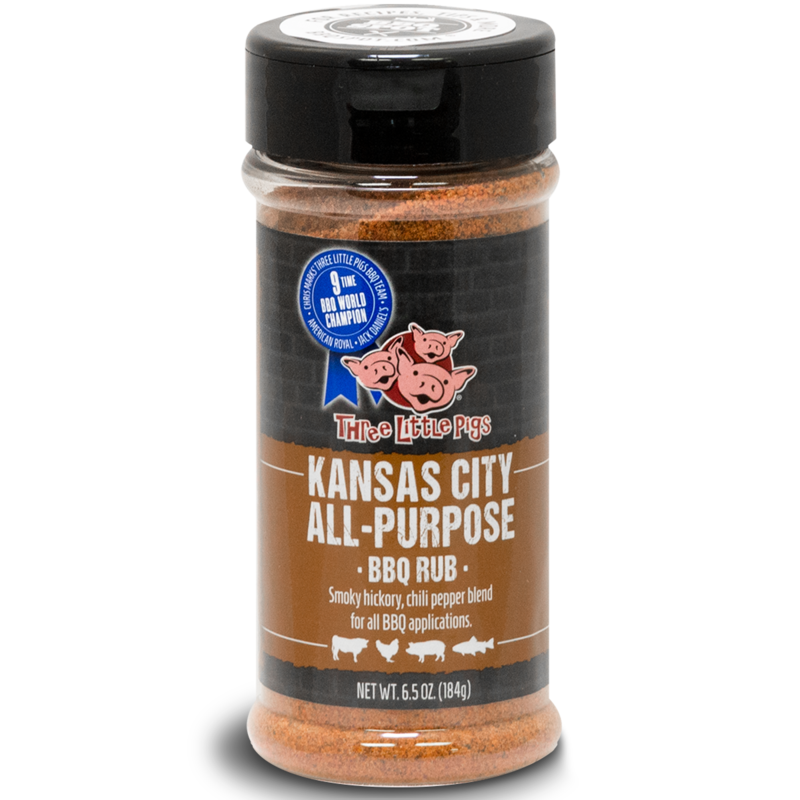 This Memphis Style Seasoning works well on a very hot grill or smoker, since it has little sugar. Memphis Style gets its distinctive flavor from a healthy dose of fresh ground black, white, and red pepper topped off with a hit of Worcestershire powder, coarse kosher salt, and other spices. 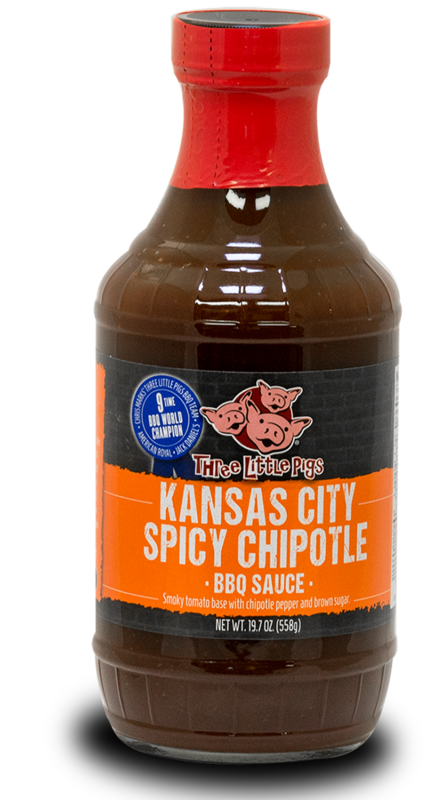 Memphis Style is a natural on hamburgers and pork chops and makes a great table condiment when you desire to create an extra peppery flavor. 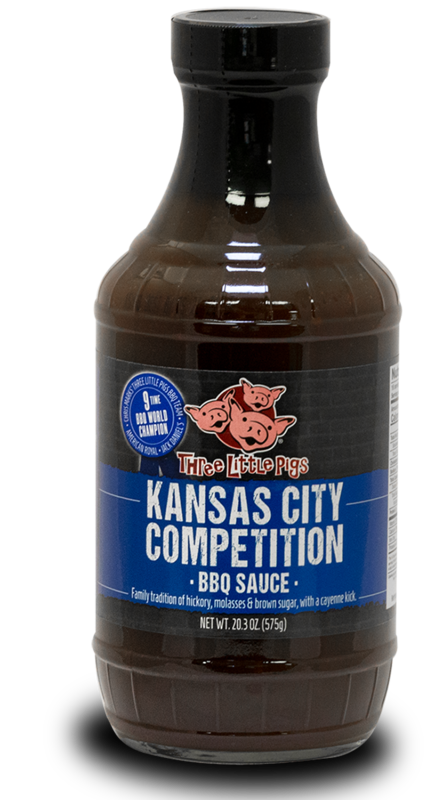 A sweet and sugary aroma fills the nose on first whiff of this sauce, keeping with barbecue competition standards. There’s a bright tomato ketchup base along with an upfront, but not too strong, molasses component. Vinegar adds a contrasting tang, but it’s light compared to the sweetness that dominates overall. After taking in a few more whiffs of the sauce, a garlicky undertone starts to make itself known, as well as a depth that clearly comes from Worcestershire. This smooth and shiny sauce has a dark mahogany hue. Its syrupy texture is broken up with some small bits that look like they include garlic, onion, and black pepper. The sauce runs medium-thin, flowing quickly in a steady stream off a suspended spoon, leaving a thin, transparent coating left clinging to the silverware. Delivering on a promise made by the aroma, this sauce starts out like a spoonful of sugar. It has the tongue coating consistency of corn syrup, but the flavor doesn’t follow suit. There’s a molasses depth behind the sugar, and a bright and fruity tomato ketchup base. These three upfront flavors begin to mingle with a tart vinegar after a few seconds on the tongue. Things get more complex as Worcestershire makes an appearance, quickly followed by garlic and onion, adding extra bite and texture. Finally, a nice heat rounds thing out right at the end, but the sugar never really backs down, making the final aftertaste one that’s primarily sweet and sugary, with a little tanginess still remaining.